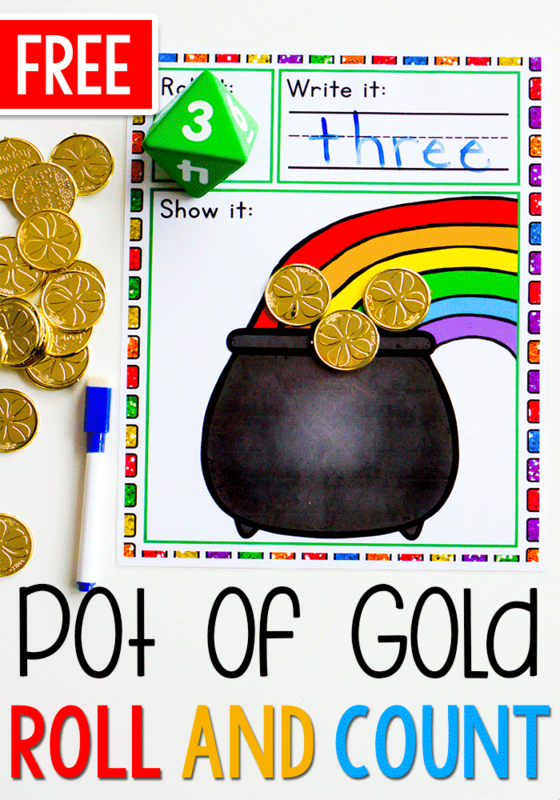 This fun pot of gold printable counting game helps children with number recognition, counting, writing numbers, and so much more. 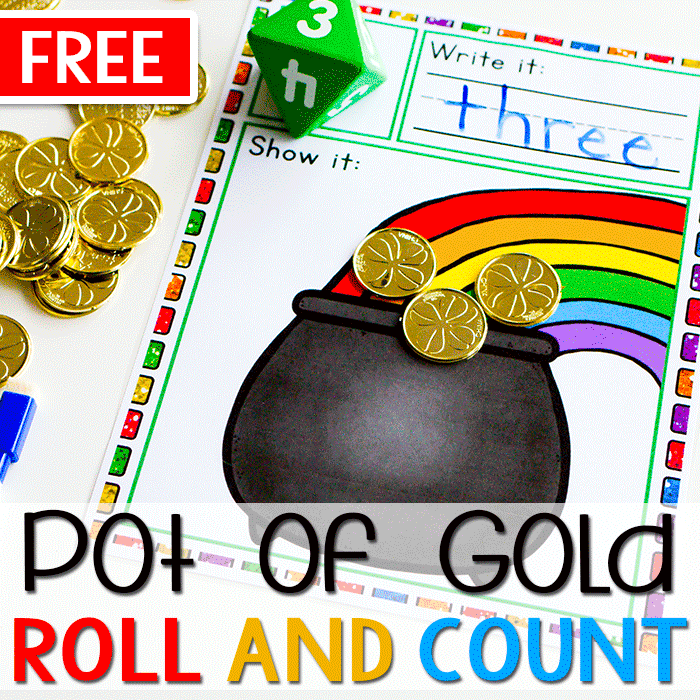 Roll and Count math games are one of my favorites because there is a the element of surprise. 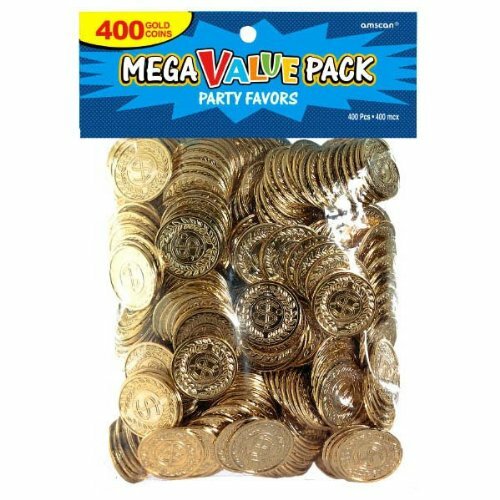 This is not only exciting but also makes it so kids can’t pick the ‘easy’ ones that they may already know. 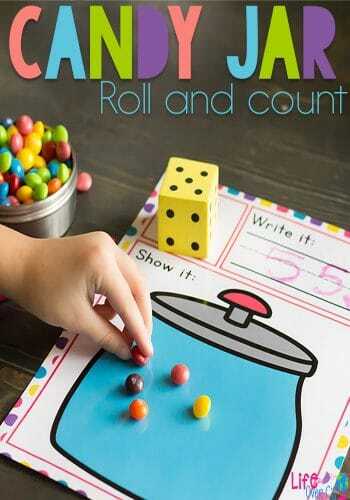 This is also continually interesting for kids so it keeps an activity out for them but requires less prep on our part! We usually do this activity in a few different ways. 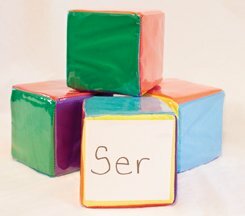 The first is with our printable dices inserts, put into the differentiated instruction cubes. 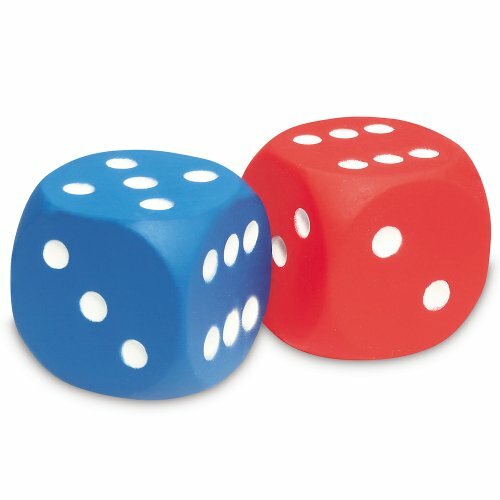 This makes it easy to switch between the numbers or counter style. 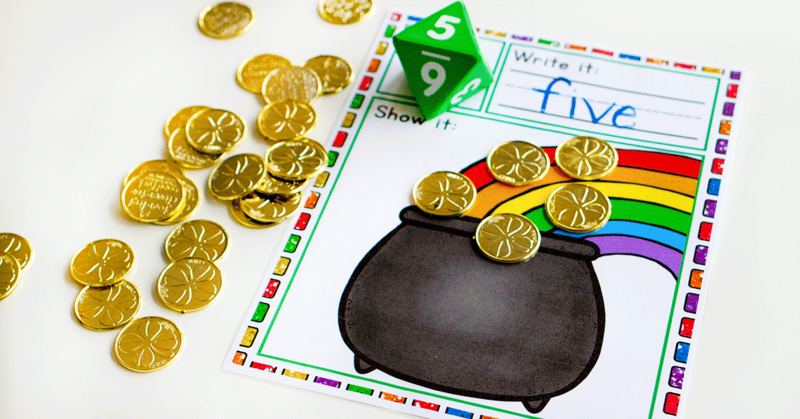 We have also used our favorite giant foam dice with this pot of gold printable. 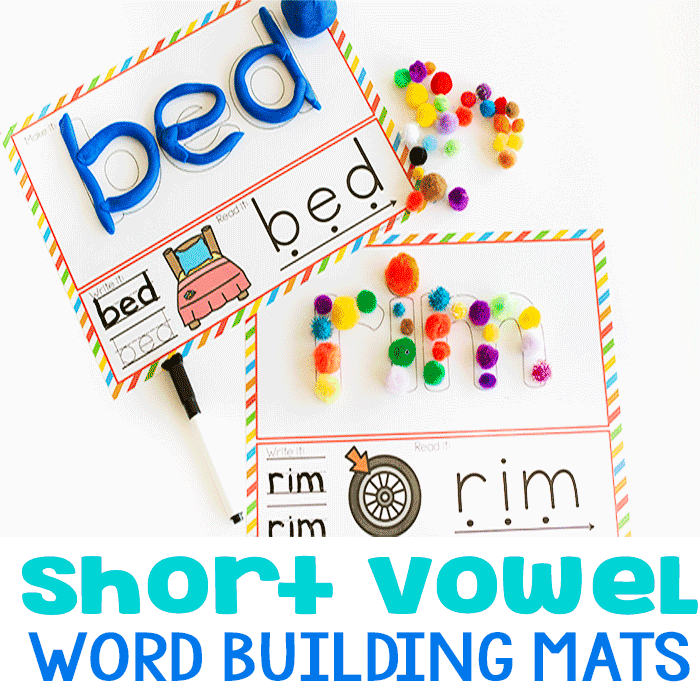 These are quieter than others we have used, which makes it nice when each kid is working on individual activities. 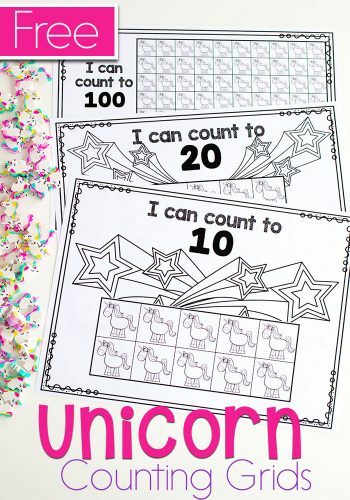 This is helpful for when you have two children on different counting levels. 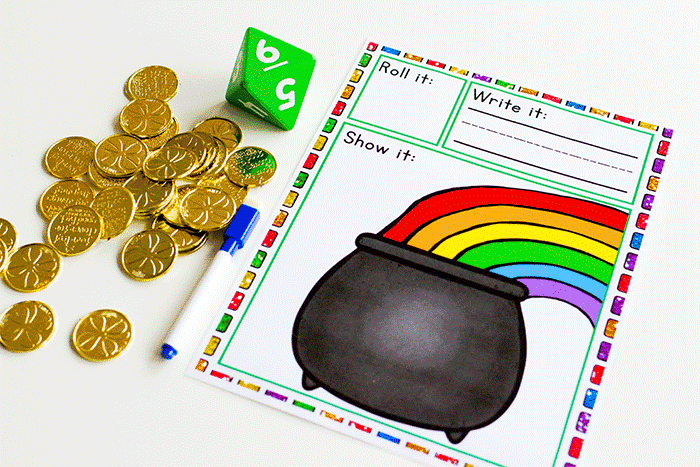 There are also options for the printable sheet itself. 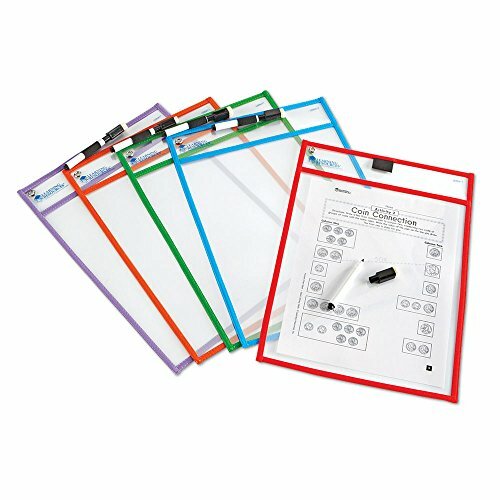 We love using dry erase pockets. 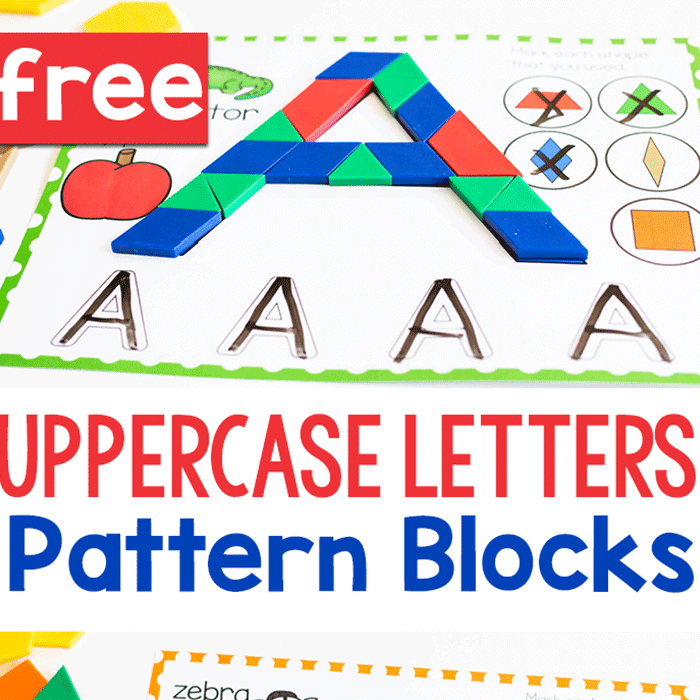 They are super convenient for switching the printables. 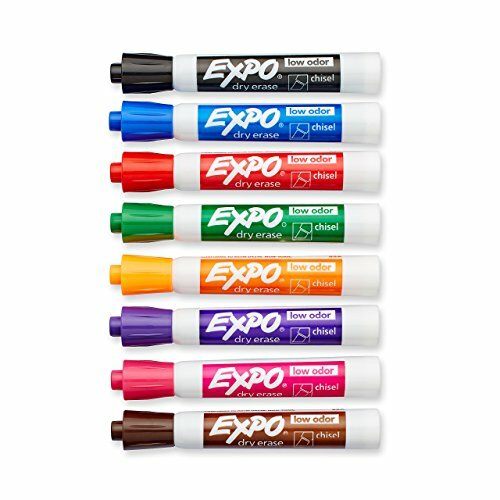 They also work great for erasing and the dry erase markers don’t stick. 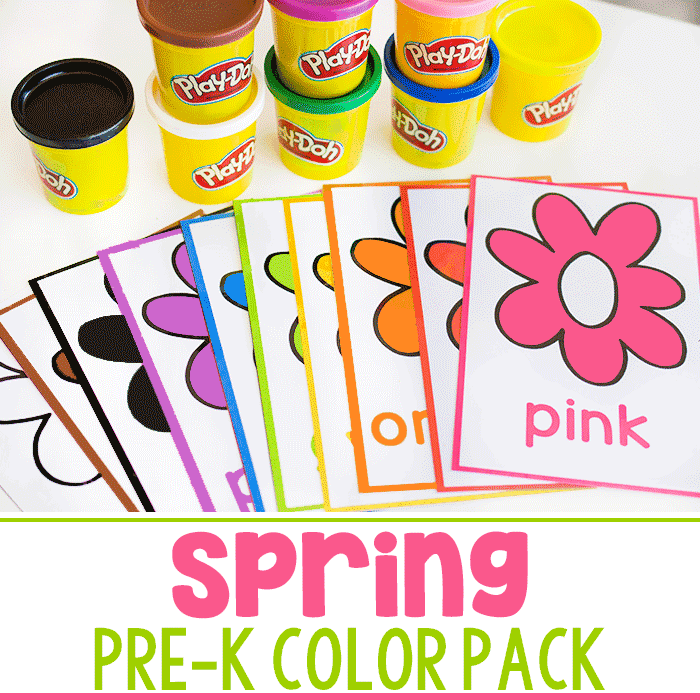 The second alternative is to laminate the printables.